Front top deck fitted and Covered Instrument Panels fitted. Placards laid out and sent for manufacture. Instruments refinished ready for installation. Floor fitted Rear luggage locker installed. Rear deck fitted. 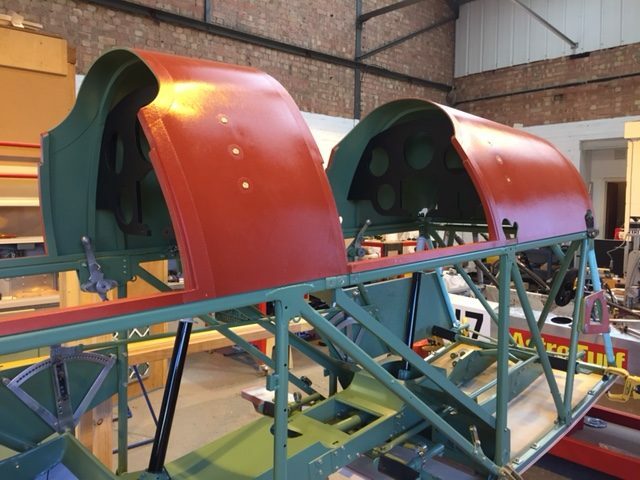 Tailplane painted in final colour. 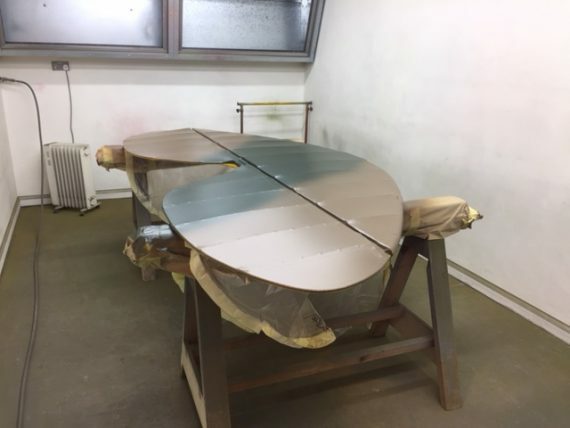 Rudder and Fin recovered awaiting paint. 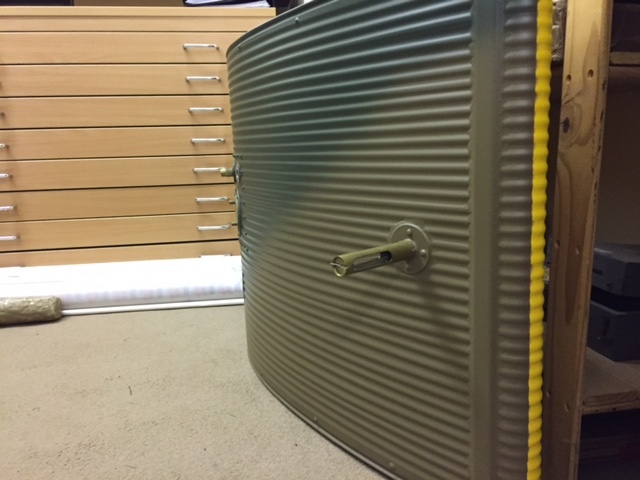 Fuel tank finished in final colour. 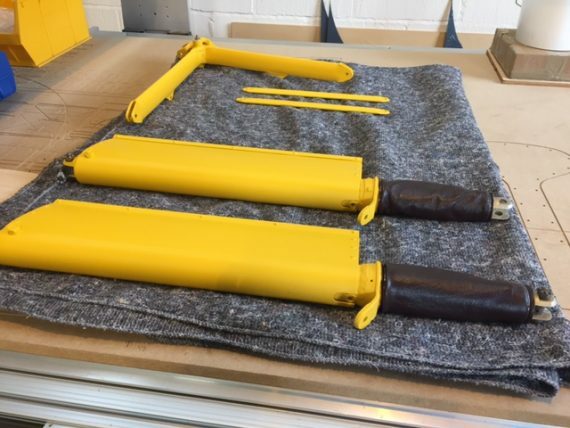 The undercarriage has been finished in final colour and assembled ready to be trial fitted. Radio Transponder and Intercom fitted to metal work and removed again for paint. Wiring loom installed and removed for final finish. 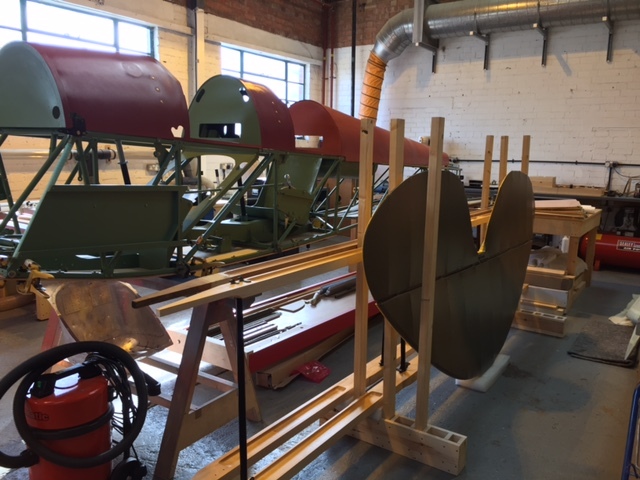 During the next month the Instrument panels will be complete, the under carriage will be trial fitted and the Fuselage will be covered. During September 2007 G-ANDE was damaged in a forced landing near Redhill when it hit a hay bale. The aircraft was then stored until acquired by the owner of Aero Legends during early 2014. 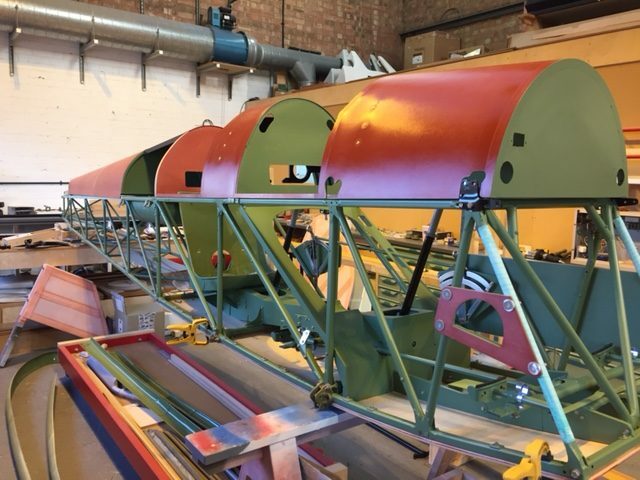 A decision was made to rebuild the aircraft with an expected completion date in 2018. It will be finished in wartime R.A.F. camouflage and join the Aero Legends fleet after completion.